The 2GIG XCVR2-345 is a 900MHz Transceiver and 345MHz receiver for the 2GIG Go!Control wireless alarm system. The 345MHz receiver will pick up signals from any of the 2GIG 345MHz RF sensors. The 900MHz transceiver is designed to expand the technological capacity of the system. This module is required to integrate the 2GIG Go!Bridge IP communication module, the TS-1 touchscreen keypad and the IMAGE1 Image Sensor. Each of these devices communicate via bi-directional RF over the 900MHz frequency to the Go!Control alarm panel. The XCVR2 is not included in the purchase of any of these devices. It must be purchased separately. 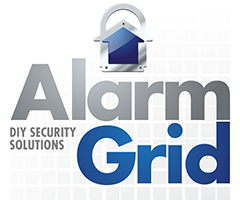 The Go!Bridge and Image Sensors require an account with Alarm.com. The XCVR2 allows your alarm system to communicate through your internet connection using the Go!Bridge. The 900MHz transceiver wirelessly transmits and receives alarm signals between the Go!Control panel and the Go!Bridge. Then the Go!Bridge hardwires to your network router. The image sensor is a motion detector with a built-in camera designed to take snapshots and push them to the cloud. Lastly, The TS-1 touchscreen display auxiliary keypad offers a remote point of control for the Go!Control system. If you are interested in any of these products you will need this device to properly communicate with them! How Do I Add Additional Keypads On a 2GIG Go!Control? How Do You Add A 2GIG IMAGE1 To The 2GIG GC3?